First of all I don’t like to bad mouth people directly (unless you really deserve it). So I’m not going to be posting links to specific articles and asking you to go leave mean comments, boycott or burn down any headquarters. I just need to vent. Second of all I’d love to not see these, but I like doing my roundups. And part of my ‘research’ (in quotation marks because seriously it’s just reading dog stories all morning) is looking through the articles published the previous day. So I see these, and I see them a lot. And because I have some weird fascination with looking into things I don’t like I am compelled to read them. I can’t resist. Sometimes it’s to see how bad they really are, and other times it’s to look at the comments in hopes that someone else is as pissed as I am. Here’s the 5 types of dog articles I’m tired of seeing. I don’t get it. Why is this such a popular trend? Look, it’s another 18 photos of dogs with horribly swollen faces. These posts get a hell of a lot of shares, which helps explain why every “viral” type site out there has multiple versions of these posts. I don’t find them funny, and that’s fine. To each their own. Hey second guy: you got all these photos from reddit, you really expect us to believe you know the backstory to all of them? I’m not talking about breed specific blogs or pages here. 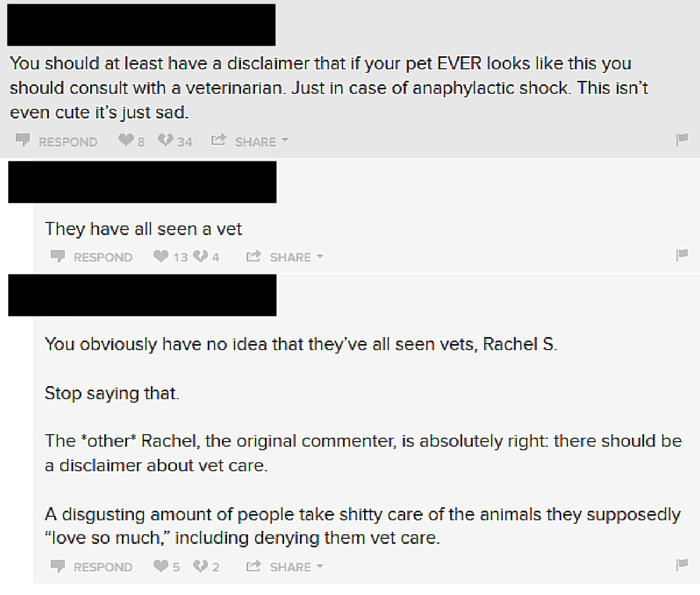 I’m talking about sites dedicated to dogs in general, yet they claim to know the best items for every breed under the sun. You know the 5 best dry dog foods for my Whippet, really? You don’t even own a Whippet, and you’re just linking to the top rated amazon products. Your about me page says you’ve got some “experts” on the job so I guess that makes you qualified. These sites are just targeting keywords, and while it may be a decent way to make money it’s something I’m not comfortable with. I have no problem promoting affiliate products, but it does bring up some ethical questions when you’re promoting stuff you don’t even use. A few of the gems I found on alltop this week. 3. 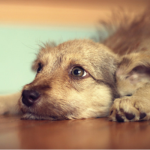 50 Amazing Things Your Puppy Needs Right Now! It’s not the list part that bothers me, trust me I love me a good list post. It’s the blatant 50 links to affiliate products followed by the insinuation that it’s urgent. My puppy really needs a fancy new bed? Right now? Even though she’s a puppy and will probably chew it up the moment she’s left alone? I’ve got an article called “Why You Shouldn’t Buy Your Puppy an Expensive Bed Just Yet” that I haven’t finished. In my opinion (and from having 4 dog beds destroyed over the years) it’s just not a good idea to invest in an expensive bed for a teething (or adolescent) puppy. Now I don’t see these all that often, usually they’re e-mailed to me from someone I’ve never spoken to with the question “can you put this in your roundup?” Needless to say I haven’t included one yet. I know, I know. I’ve been over this before when asking “Is There a Best Breed For First Time Dog Owners?” But these things don’t stop. Is this a dog you want? Does everyone in the family want this dog? Can you see yourself taking care of this dog for 10-15 years? Kids will make all sorts of promises when it comes to getting a dog. I know I did. But things change, and your 13 year old child is going to be an adult in 5 years. So whose left taking care of the dog? You are. 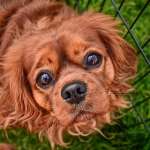 These top 10 breed articles are just so general. They don’t usually address the important questions you should be asking yourself before getting a dog. Instead it’s just “Easy to groom, medium exercise, good with kids.” OK, sold. This is the guy I don’t mind mentioning by name, because to me he’ll always be a first class douche, and people are still sharing his videos. Well there’s more than just that video out there that I’ve had the displeasure of seeing. Turns out he also withholds water from dogs to get them under control, sells puppies from the same parents over & over that haven’t been health checked, and hits dogs trapped in cages to promote aggression. His videos are a prime example of why I don’t just “share” things willy nilly, and why some weeks I don’t find many great dog videos for the roundup. 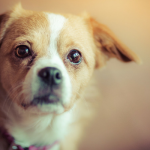 There’s usually a lot more to the story, and dog videos are certainly no exception. 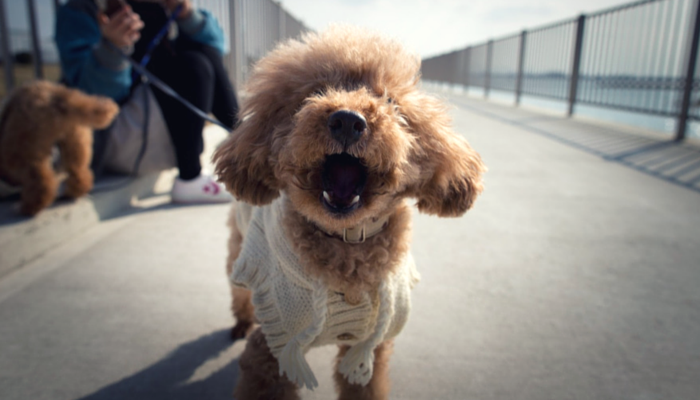 What Dog Articles Piss You Off? I see a lot of these articles every day, but on the bright side I see a lot more good than bad. I don’t like seeing these things either or the photos that show dogs with babies, or small children. Yes, it’s very possible that YOUR dog is amazing with your baby/child, but not every dog is. Let’s face it, there ARE stupid people in this world, and everyone wants their 15 minutes of fame. What one dog will tolerate another will not, and then the baby/child is hurt or maimed for life and the dog loses theirs. I had a pic of Delilah on my blog that time she had massive hives BUT I also told people that I immediately called my vet and took her in. I knew it was an allergic reaction, but I needed to be sure it wasn’t so severe as to kill her. Those photos/videos of children & dogs (often times) are scary to watch. Just like you say not all dogs will tolerate crap like that. There’s nothing wrong with posting photos + information about bee stings. It’s something us pet owners panic about when it happens for the first time, so it’s good to have decent information/stories out there. But that’s a far cry from just posting 18 photos of dogs will horribly swollen faces for the sake of laughs. Sadly it’s just filling the internet in any niche: marketing content (marketing the self using lightly re-written or “original but off the cuff don’t really need to think to write” content fluff, or marketing someone else for $). Many feeling a big ol “wha’ happened? !” when it comes to original writing. Where is digging deep. What about covering something not around on the internet already. Where’s the unique perspective (the *really* unique perspective, voice, story, spin – again, digging deep…). Props to you for calling it out. It’s not easy to write what I feel is a good piece or article… I will *not* call it content. Personally when I found my blog(s) slipping towards the trend, and how much work it took to write a good article that ends up getting so little return, I hopped out and won’t return until I can get it – in my opinion – right. But the readers will make this change, and until they start demanding (and reading) good writing authors probably won’t start creating it. It’s a vicious circle. But then when you look at many of the blogs who have really hit it big, that 0.01%, they aren’t writing content. (And I’m not counting some of the media corporations – BuzzFeed, Mashable, etc – who are barfing out content. They hire tons of writers writers to each pump out dozens+ crap posts per day, and are going on quantity not quality. That’s an entirely different tactic than blogging, in my opinion, and something that can’t be replicated by an individual without investing in content bots or sweat labor or some such). Thanks so much for this. The blogging world can be a really discouraging place. 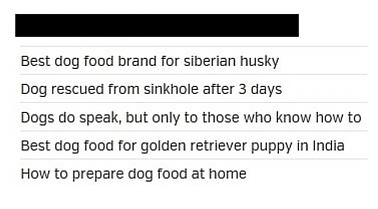 And that trend towards just targeting keywords to make money, hiring the cheapest writers you can find just to push out “content” that’s going to easily rank for “The Best Kibble For Your Beagle Puppy” is depressing. You can’t even get 5 bloggers to agree on what makes a “good blog” anymore because everyone’s opinions are so biased towards what the big marketers are doing (or telling you to do). Precisely (I’m remembering the Wil Wheaton article/thread/kerfuffle on HuffPo). The thing is, all that stuff is influential to non-corporate bloggers, and that’s why we end up with the endless “content” rehash. It’s influential. And it obviously works for the businesses (hey, pump out 75 articles per DAY and you will get eyeballs), but now it has ended up all over the place. And spilling over to what “influencers” write 99% of the time it feels (marketing – self (fluff quick to write piece for organic search purposes) or sponsor). Yayyyyy! Excuse me while I climb upon my high horse. It ticks me off when I see a blogger or freelance writer comparing kibble to raw. Now I’m not a kibble hater. I don’t believe that every dog needs to eat raw. Raw is best for my four dogs and I write about it. But when someone says that a kibble brand is the next best thing to raw, I get pissed off and it takes a special amount of control for me not to race to the comment section and fire off a nasty response. 1) With kibble, you open a bag and pour it in a bowl. Premade raw is just as convenient, but what I do to feed my dogs is not that simple. I do a lot of study and research in the diet and each of our dogs. I’m practically a short order cook some weeks as I account for each dogs’ needs. 2) Kibble is cooked, raw is not. 3) Blue Buffalo – STOP SHOWING WOLVES WHEN YOU’RE PROMOTING YOUR KIBBLE. Never ever in the history of the world have wolves hunted down kibble. If you have a good brand, promote it, but don’t insinuate that it’s the same as what wolves eat. 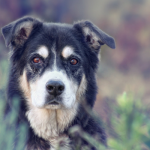 There are loads of kibble brands out there – one for every dog – and I get that there is a lot of pressure to provide higher quality kibble in an environment where AAFCO and the FDA are making ridiculous demands on labeling and ingredients. I get that raw is growing in interest, popularity, and is becoming a competitor. But for dry dog food to lump itself in the same category as raw is beyond cray cray and drives me bonkers. Excuse me as I climb down from my horse. As for #3 Taste of the Wild also uses wolves on all their packaging. I mean I guess it fits in with their name, but I’d never really thought about that aspect of it before. I can’t help but laugh now as I’m thinking about wolves scavenging for kibble. It really is a silly advertising angle that makes little sense. #4…. Those lists make me so mad. They give a false sense of security to people who aren’t dog-savvy (OH! I just need to get a fill-in-breed because Buzzfeed says it’s the best for my guinea pig) and discounts the individual. More than that, though, some really great dogs–mixes included–are so often overlooked. Those roundups make me worry that so many great dogs will be overlooked because they weren’t in some random top 10. I feel the same way about many great dogs being overlooked because of those generalized lists. Especially with the great foster to adopt programs that many rescues have in place now a days, it’s hard to imagine a better way to find the perfect dog. Why hybrids are not as (1) smart (2) healthy (3) trainable (and the list goes on) as pure breeds. Really? Oh goodness yes. I followed the “are purebreds healthier than mutts” articles for awhile, hoping to see some clinical evidence added in.. But it’s just not there. It’s not that simple of an answer & there are way too many variables involved. I hate the “best dogs for—” posts too.. it means that the person asking the question has no clue about breeds. I also hate dog/baby videos where the child is hitting/kicking/pulling on/ or otherwise asking to be bitten while the adults find it funny. They won’t think it’s so funny when the dog does bite. Yes about the dog/baby videos indeed. And unfortunately there’s 4.5 million dog bites in the U.S. each year, half of which happen to children. Is the bee thing a social media trend? I haven’t seen that yet. While I find those kind of photos… I guess fascinating or interesting in a different medical sort of way, I don’t find them funny. And I don’t really understand why they would go viral… Just did my first puppy supply checklist lol! No affiliate links though. I did have to include one specific product since it’s sponsored, but focused on making a nice list that isn’t too over-the-top and includes reasons why each item is important. I’m with you on best/worst dog breed lists. The bee thing is really popular on Buzzfeed & other viral type sites. When I went back to grab a screenshot of the comments I typed in “dogs stung by bees” and couldn’t believe how many sites have posted those things… I don’t get it. Lists that are well done & thought out are always appreciated. The ones I find questionable are the “here’s 50 items you need” that are just photos + affiliate links. No real description of the product and why they’re necessary. Yep, I’m feeling you. Many of those kinds of posts are written by corporate entities who have decided they need to start a dog blog to promote something else. Ugh. I’m with Jodi. I also hate “cute” video posts showing stressed dogs with children. Make me absolutely insane. All of the above and also posts from that one blog, Dog won’t F****** Sit. Those people are some of the most negative bloggers I’ve ever seen. At least the Dog Snobs are funny. Oh, yeah, I HATE that blog! I am so glad you mentioned it, even though I appreciate that Jen didn’t want to post fingers. Fortunately, I haven’t seen any of those posts shared since it first started. Yeah I love the Dog Snobs. They put together articles that might be offensive to some, but they’re easy to understand (and have a good point) by the way they end up mixing their insight & humor. Rather than just eff this, eff that. I do have a healthy distaste for affiliate links all over AND pop-ups. I REALLY HATE pop-ups. Sometime one can’t can make their way to the content. Otherwise, if I don’t like the article I just move on to another. I hate all of the things everyone else mentioned! Especially “cute dog and baby” stuff. Most of it is emphatically not cute, because I am a humorless dog trainer. I’m so in love with that blog, seriously. When I saw it I was beyond thrilled. I don’t like the videos where a dog could injure itself like “Dog Fails” or where the kids are messing with a dog. No riding, no ear/tail pulling, or pounding on the pup while Mom and Dad laugh and film the entire thing. Except where the dog has had enough and bites the child. Grrr! Pop-ups make me crazy too. Oh yes, #5 drives me crazy!!!! For me it’s not article but more like posts in social media with violent images. I know animal abusing happens and other animal concern topics but to post graphical violent images on Google+, Facebook and etc is too bit much.